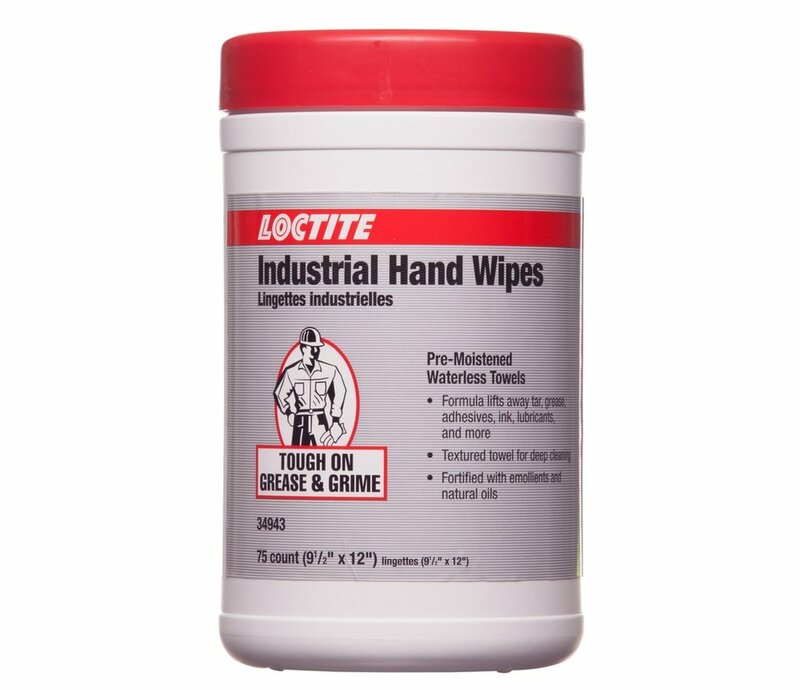 Loctite® Industrial Hand Wipes are pre-moistened with a powerful citrus-scented cleaning formula that is abrasive enough to scrub off the toughest grease and grime. Quick and easy-to-use, these 9.5" x 12" towels eliminate rinsing and drying and leave no residue behind. Perfect for industrial and commercial environments in the painting, printing, maintenance, transportation, and construction industries. Typical Applications: Removal of dried bugs from windshields, hoods and radiator grills. Cleans commercial working hands without water.